The SLSCC Surf Fun Day program has successfully been delivered to Central Coast primary schools since 1999 and is now an important part of many schools annual activities. 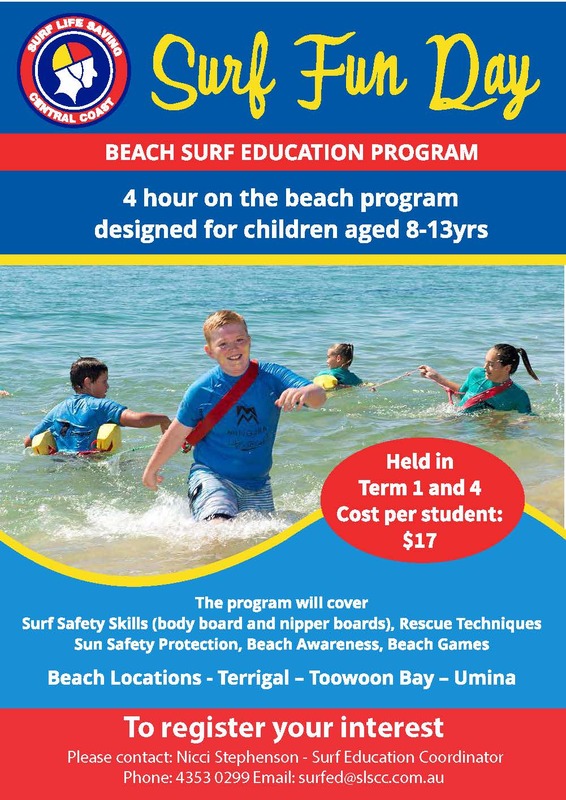 The Surf Fun Day is a four hour “on the beach” practical program designed for Primary Schools and children 8—13 years, delivered during Term 1 and Term 4 at Toowoon Bay, Terrigal and Umina Beaches. Children are taught essential surf awareness/ safety skills whilst also showing them how to enjoy the beach with confidence via participation in various beach and water activities. The program continues to grow with 3,741 students attending the programs last season.